Home » Who are our clients? Delivery of a VPN Remote Access solution and Citrix solution to allow Westpac employees to access their desktop applications from home via their internet connection. Project Management of a lof IT architects, network engineers and developers. Stringent security requirements around access and hardening of equipment. Tight budget and difficult deadlines. Mapping of IT Applications to Business Processes using ARIS to allow CBA to model and re-engineer their business processes. 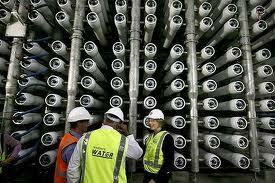 Development of work-flow to allow Sydney Water to review and approve design and construction of the plant. System design of a webcam on-site to allow remote viewing of site activities by Sydney Water. Business Process Re-Engineering and workshops to devise “to-be” processes. Solution Management of various projects which introduced new products/technology/processes to 72 Hearing Centres around Australia. Exploded diagram of the Ripples House Boat for their brochure.